To celebrate 71st Independence Day of Pakistan, Flag Hoisting Ceremony took place at the Embassy of Pakistan Brussels. 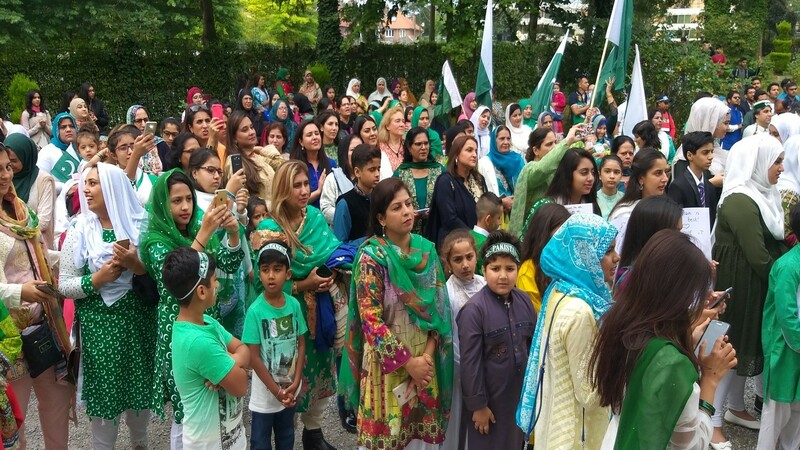 Nearly 500 members of Pakistani community living in Belgium and Luxembourg including large number of women and children participated in the independence day celebrations at the Embassy, with full enthusiasm. Pakistan’s Ambassador to the European Union, Belgium and Luxembourg Mrs. Naghmana A. Hashmi raised the flag while national anthem played in the background. 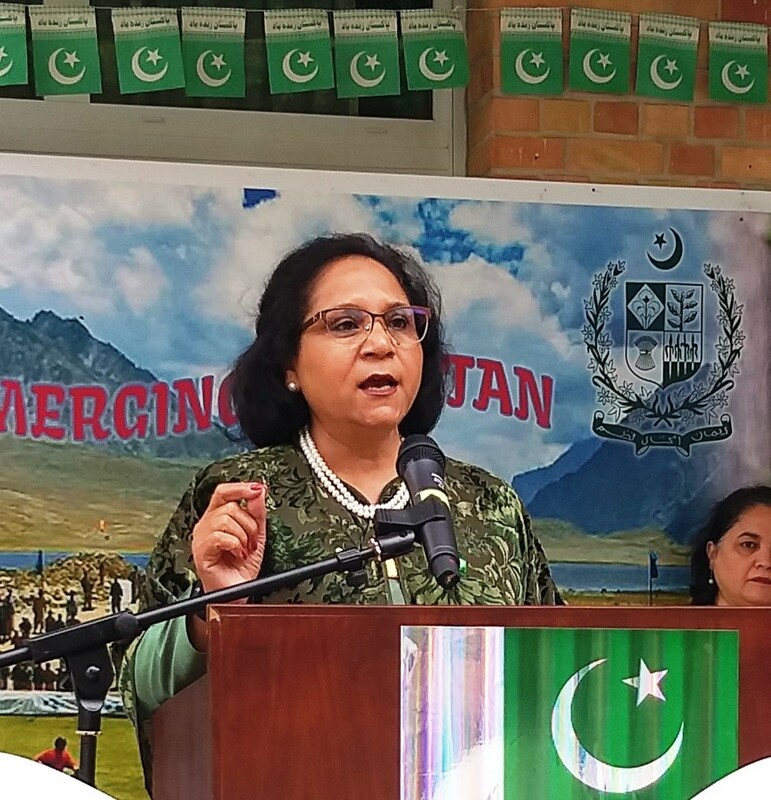 In her address Ambassador Hashmi called upon the community to understand and follow Quaid-i-Azam’s principles of Unity, Faith and Discipline in letter and spirit. She said that our identity remains Pakistani no matter where we go in the world. Ambassador Hashmi paid rich tributes to people of Pakistan. She said as a nation people of Pakistan made huge sacrifices for not only attaining independence but even afterwards. She reminded of loss of lives of over 70 thousand Pakistanis including armed forces, police, rangers and civilians in past few decades. Ambassador Hashmi reiterated the need to remember inclusive vision of Quaid-i-Azam that envisaged respect for all the religions and ethnicities in Pakistan. The spirit of unity irrespective of cast and creed was the greatest need of the hour, she asserted. An exhibition of pencil sketches of Quaid-i-Azam by an Antwerp based Pakistani artist Tajammul Hussain was also arranged on the occasion. 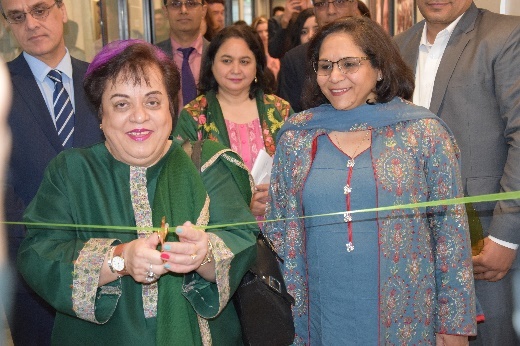 A painting competition of children on the theme “Mera Piyara Pakistan” was also organized by the Embassy, in which more than 30 children participated. 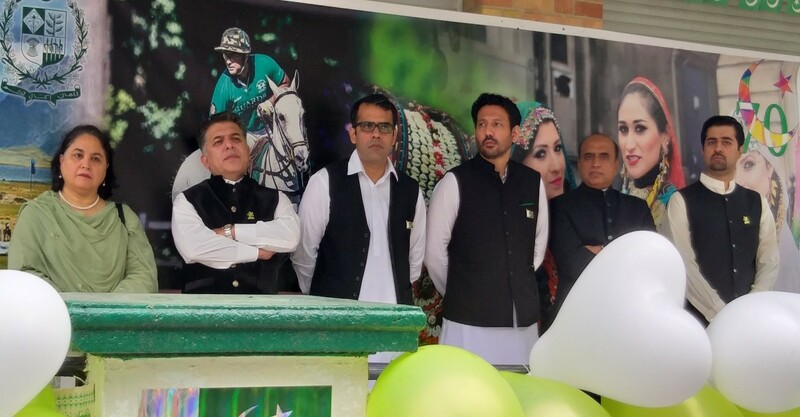 Messages of President and Prime Minister of Pakistan were read out by Minister Economic Mr. Omar Hameed and Minister Press Syeda Sultana Rizvi respectively. Whereas national songs were presented by group of students from Ghent led by Saba Kazmi and also by Mian Adil Sardar Ghani, Mian Shahbaz Ghani and Mazhar Iqbal, Muhammad Zafar Iqbal, Hassan Iqbal. 7 year old Maham Pervaiz also made a speech on the occasion. Stalls of bangles, Hina painting on hands, and face painting for children were also arranged by the Embassy. Community members from different cities of Belgium including Brussels, Ghent, Liege and Leuven as well as Luxembourg participated in the event with full fervour. Certificates and prizes were distributed among the participants of painting competition, national songs and quiz competition. 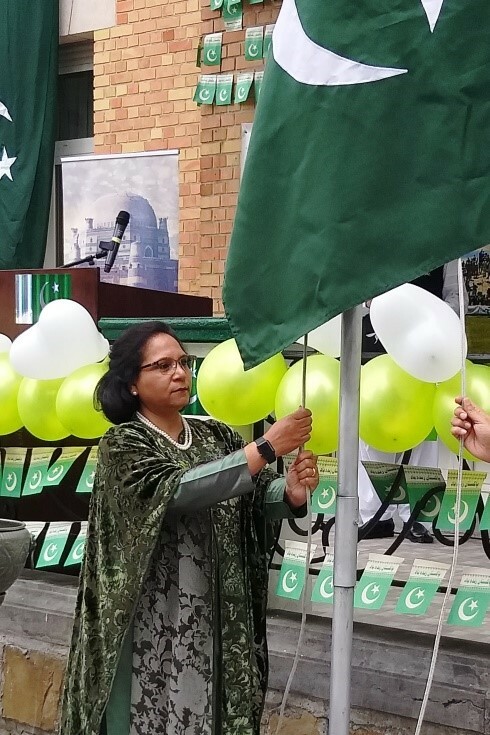 Mrs. Naghmana A. Hashmi, Ambassador of Pakistan to the European Union, Belgium and Luxembourg hoisting the flag on 71st Independence Day of Pakistan, Brussels 14th August 2018. Officers of the Embassy of Pakistan Brussels at the 71st Independence Day of Pakistan, Flag Hoisting Ceremony on 14th August 2018. Participants at the 71st Independence Day of Pakistan, Brussels 14th August 2018.